Millennium Cotton Club is not currently scheduled to do any shows in Branson this year. Be transported back to the 1920s with this fabulous group; the Millennium Cotton Club show in Branson, MO is a must-see blues and big band tribute. 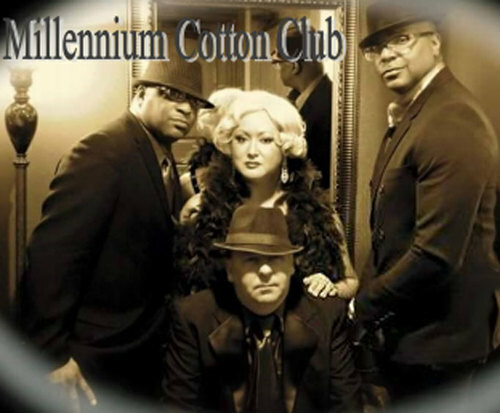 Bringing the jazzy, blues vibes with them to the stage, the Millennium Cotton Club band brings back the hits of the greatest performers of the jazz age. From Cab Colloway to the sultry Ella Fitzgerald and the brilliant Frank Sinatra, this performance is sure to impress all jazz fans. This show is also unique in the way it encourages audience members to dress. Formal attire is requested, and you are encouraged to dress like your favorite era. This makes the environment feel more realistic and makes the experience more unique. Do not miss out on the show that all jazz and blues enthusiasts will be raving about!